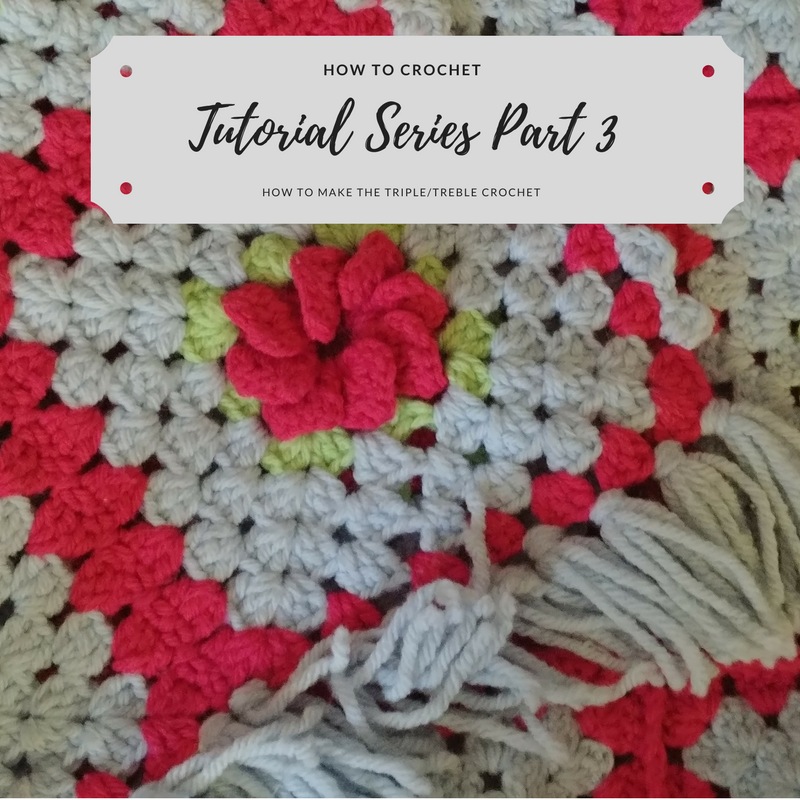 It’s time for part three of the how to crochet series, how to do the triple or treble crochet! The stitch is the same, some sources call it the treble, and some call it the triple. In modern US terminology anyway. In other countries the terms are different, and I have encountered antique patterns that use the other terminology as well. If you are learning to crochet though, here is the step by step of how to do the triple/treble crochet! This video doesn’t feature the chain and basic steps, those can be found in the first part of the series. This video will show you how to chain, single crochet, and slip stitch. I also have part two, which shows you how to double crochet! Add in my videos about how to change colors, and how to do the puff stitch, (scroll down, I promise it is there) and since now you know how to triple crochet, you’re ready for most crochet patterns out there! I still have a few more videos to do of some other basic stitches, and if you need any tutorial let me know! I’d love to know if you are following along and learning to crochet! How is it working out for you? Any other crafts you’d like a tutorial video for? To help you get started I made this list of items suggestions. There is a variety of hooks, tools, and even a few basic yarns! Many of these come in more colors, but I tried to keep it neutral. These are affiliate links and I will make a small commission (at no cost to you) if you make a purchase.